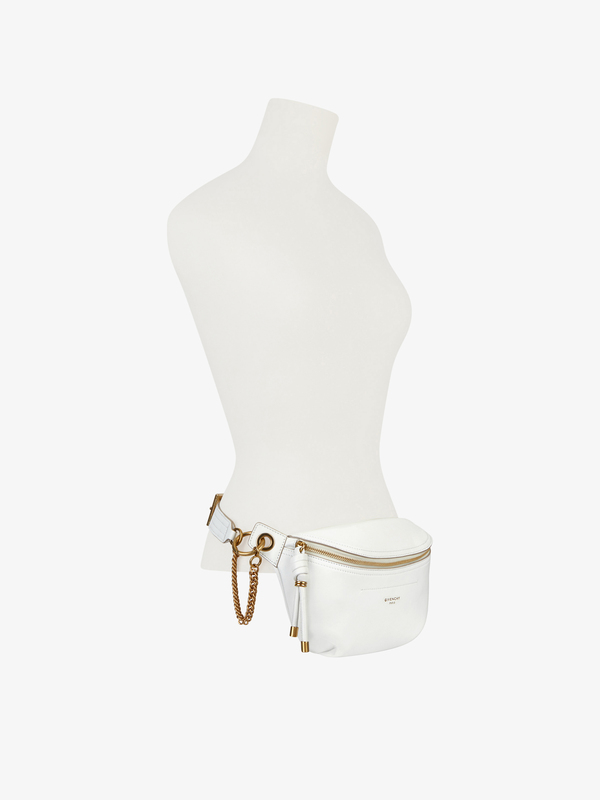 Whip belt bag in smooth white leather with antique gold-finish metal details and hand-knotted leather zipper pull. Adjustable belt in topstitched leather with metal buckle, GIVENCHY PARIS-engraved loop, and small chain allowing it to be worn across the body; can be folded onto the side of the bag to wear on the hips. 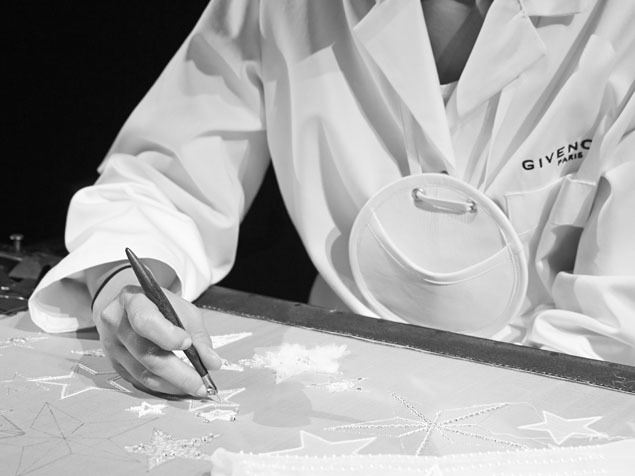 Gold GIVENCHY PARIS signature on the front.